Oh my love of the sand and sea. Any chance I get in the summer to get down to the ocean is one that I take without question. It’s so refreshing to just sit and let the stress and worry peel away with each roll of the ocean. The look is clean, simple, and fancy-free. I like it, I’ll probably wear it again, and I make no apologies for that. 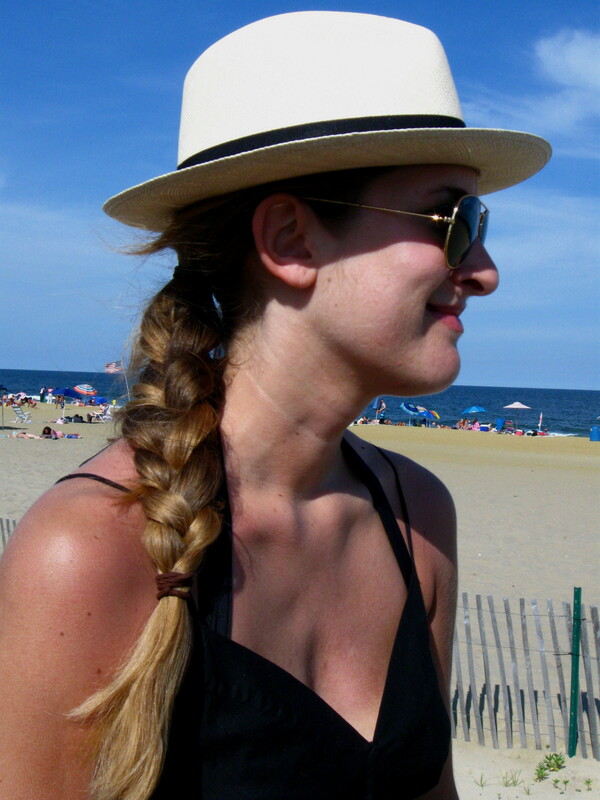 I’ve literally been stalking every store in the NYC area for a summer hat that fits my head. Apparently I’m a L/XL, so I was happy to find something that fit the bill at my ever trusty, J.Crew. On another note, I find myself continually stocking up on summer sandals at Target–I literally told myself I would look for leather alternatives, but I fell victim once again to another pair that is so basic, sooo comfortable, and if it’s worn after a summer, I truly won’t care. I am forever a Target loyalist.